The Fendall Freeze-Protected Heated Porta Stream Eyewash Station is for indoor or outdoor use in extreme cold weather conditions. 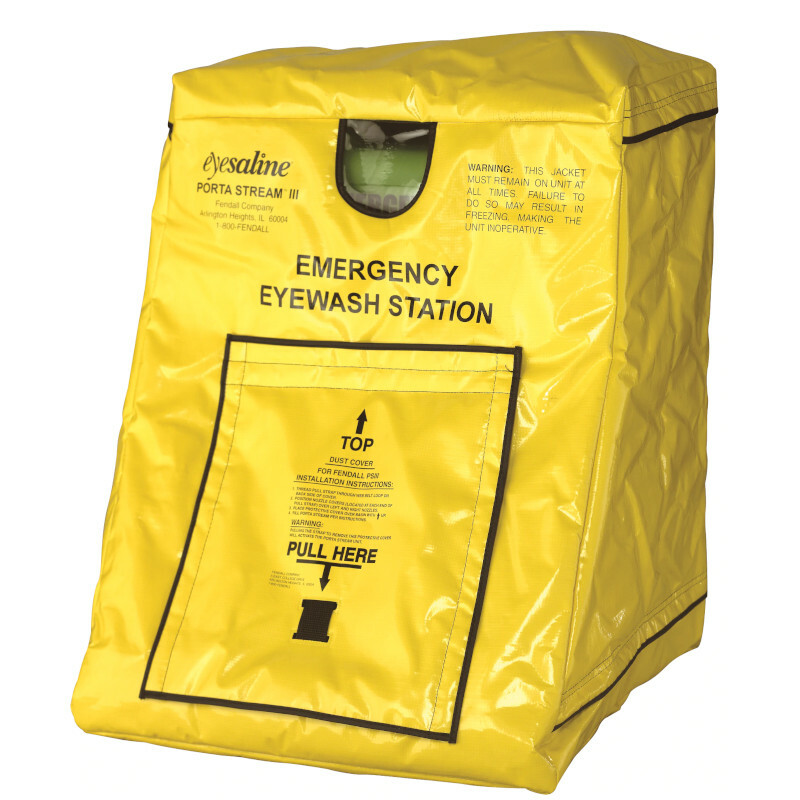 This 16 gallon heated eyewash station easily hangs on a wall or can be purchased with an stand. This station has a special form fitted insulated cover and twin 600 watt, 110 volt thermostatically controlled heaters. It meets the ANSI guidelines as a primary eyewash by providing fifteen (15) minutes of uninterrupted flushing.